Blue Steele. From 1930 Victor catalog. Perhaps the most commercially successful territory band of the 1920s was that of Blue Steele, who toured the southern United States in the 1920s and 1930s. 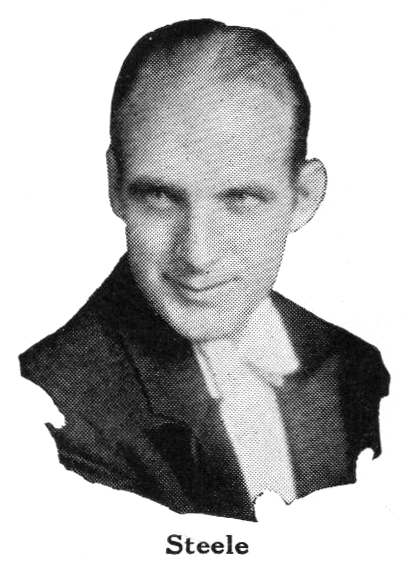 In addition to his success in music, Steele was also one of the more interesting characters of the 1920s territory band scene. The man known as Blue Steele was born Eugene Staples on March 11, 1893 or 1897 in Arkansas. According to legend, his nickname came from a metal plate he had in his head after being wounded in the Great War. Perhaps caused by that injury, he was also known for his short temper and erratic behavior. He started out playing trombone and mellophone in Watson’s Bell Hops, before starting his own band in 1925. Although Steele filled his band with great musicians, because of his unstable personality and often poor treatment of his employees—he was known to have a habit of throwing punches right into the bells of his band members’ brass instruments—they tended not to stay with him for long, and we can thank Steele for bringing us a number of great talents by scaring them out of his band. 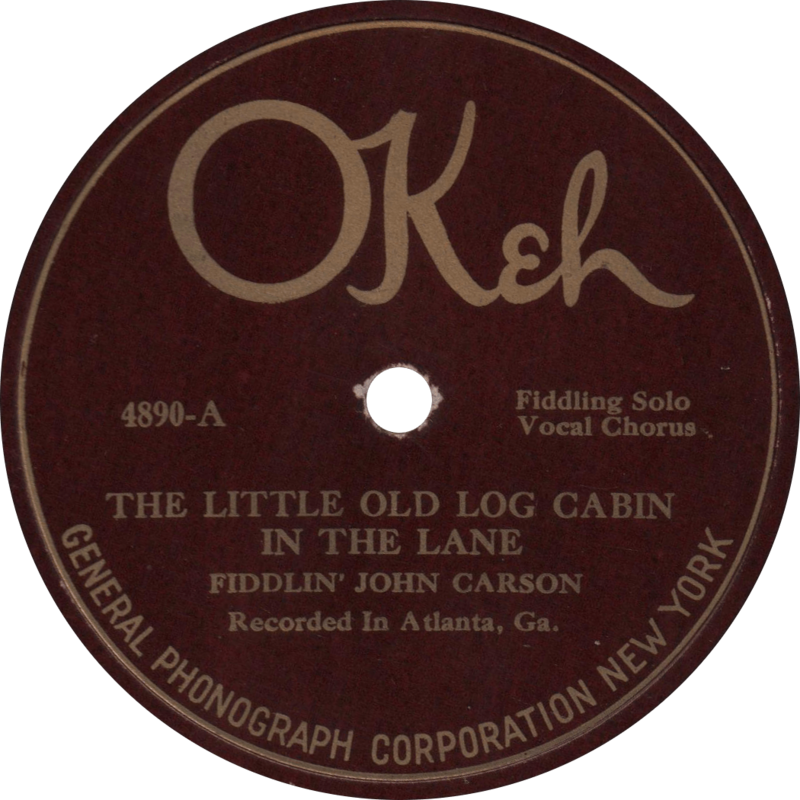 Quite a number of his musicians, including reed man and vocalist Kenny Sargent and guitarist, banjoist, and arranger Gene Gifford moved on to the Casa Loma Orchestra, a band known for their strict code of conduct, which may have been a welcome change from their prior engagement. Nevertheless, Steele continued to lead successful bands well into the 1950s, despite becoming increasingly unstable as years passed; as legend has it, he murdered a tax agent in Atlanta “for no apparent reason.” Blue Steele died July 7, 1971. 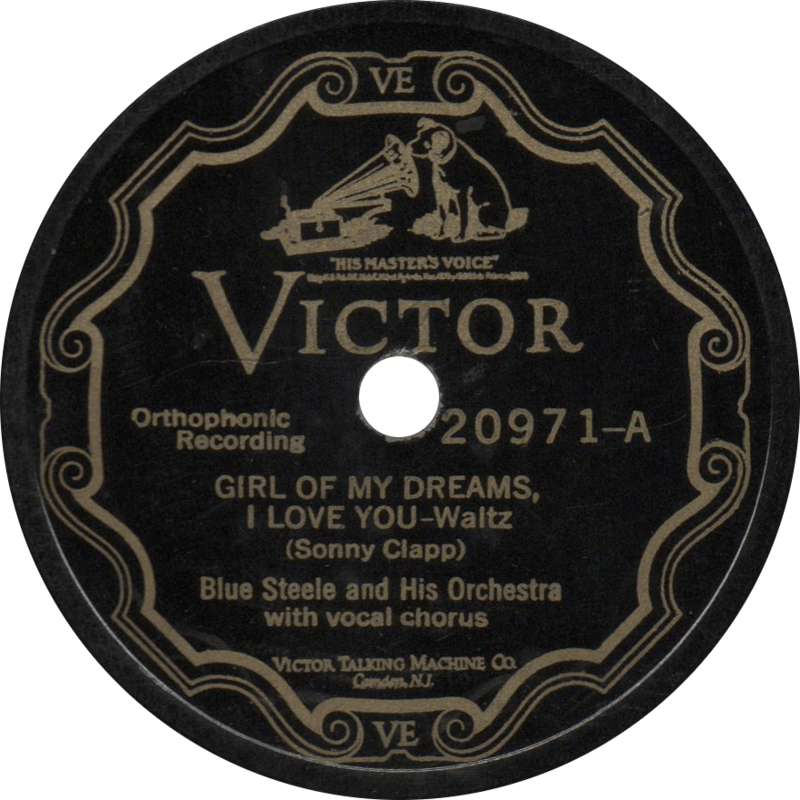 Victor 20971 was recorded August 26, 1927 in Savannah, Georgia, the first, and probably most successful record by Blue Steele and his Orchestra. The personnel includes Frank Krisher and Frank Martinez on trumpets, Blue Steele on trombone and mellophone, Sunny Clapp on trombone, Kenny Sargent on clarinet, alto and baritone sax, Roger Sanford on alto sax, Pete Schmidt on tenor sax, Ted Delmarter on banjo and/or guitar, Sol Lewis on piano, Marvin Longfellow on tuba, and Tom Summers on drums. The session was supervised by Ralph Peer. The first side of this disk features a waltz, but all you pep-purists never fear, for it’s a good waltz, in fact it’s the first recording of Sunny Clapp’s “Girl of My Dreams, I Love You”. Kenny Sargent sings the vocal on this side. Girl of My Dreams, I Love You, recorded August 26, 1927 by Blue Steele and his Orchestra. 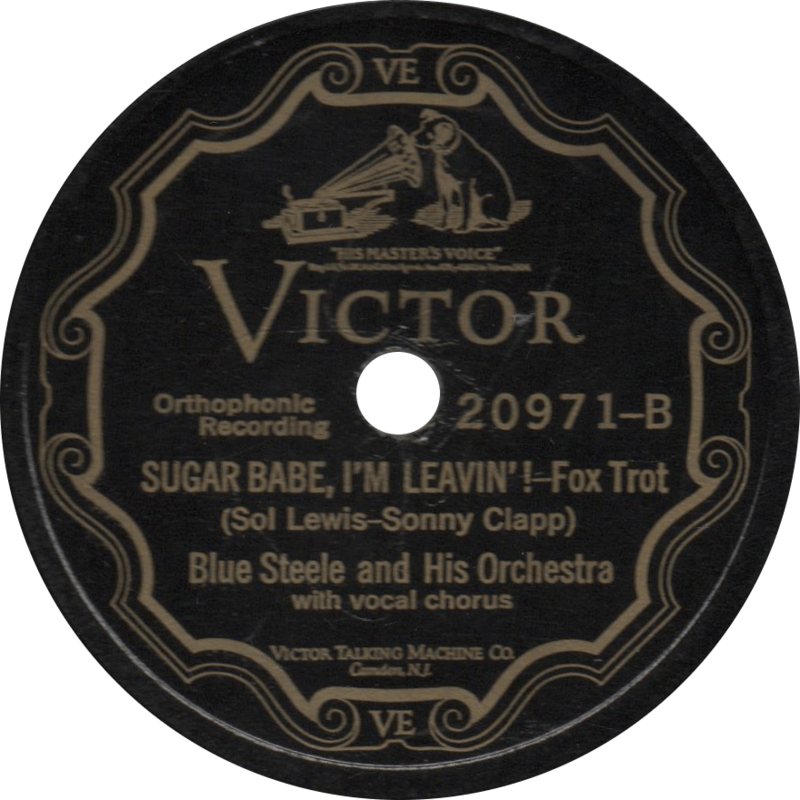 Sugar Babe, I’m Leavin’!, recorded August 26, 1927 by Blue Steele and his Orchestra.